Have you heard the news? 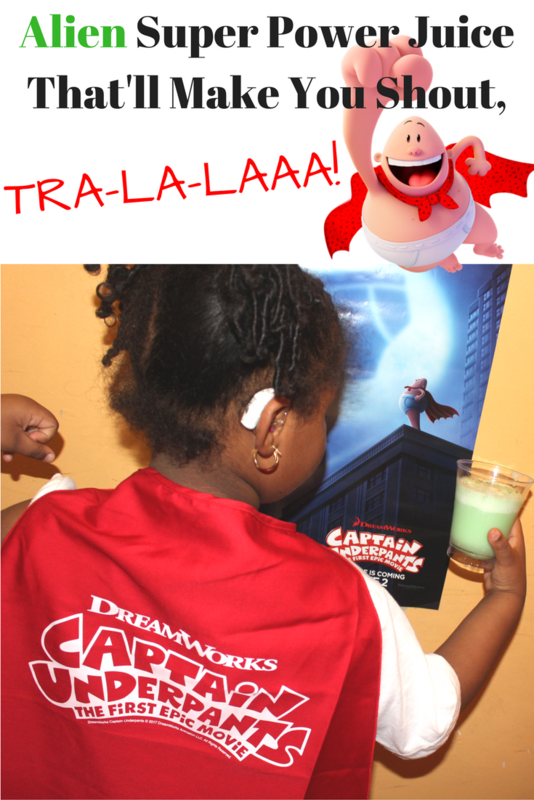 CAPTAIN UNDERPANTS is coming to theaters TODAY, June 2nd! 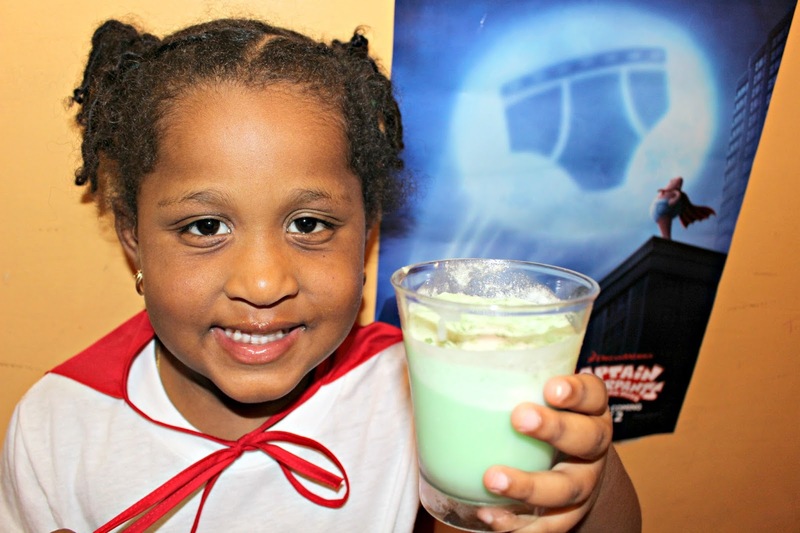 To get ready for this upcoming release we have a fun recipe for a Coconuty Lemon-Lime version of the Alien Super Power Juice Drink that turns our beloved principal into the one and only, CAPTAIN UNDERPANTS! 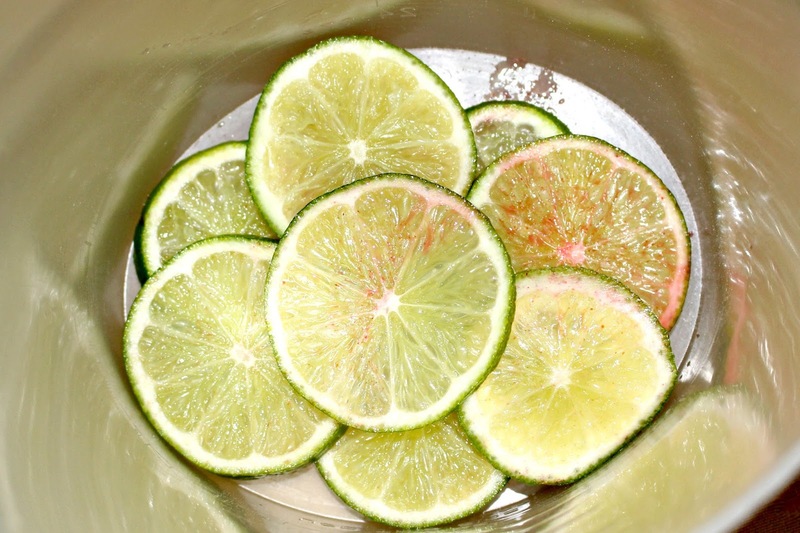 1) Grab your pitcher or punch bowl and add 1-2 sliced whole limes to the bottom of it. 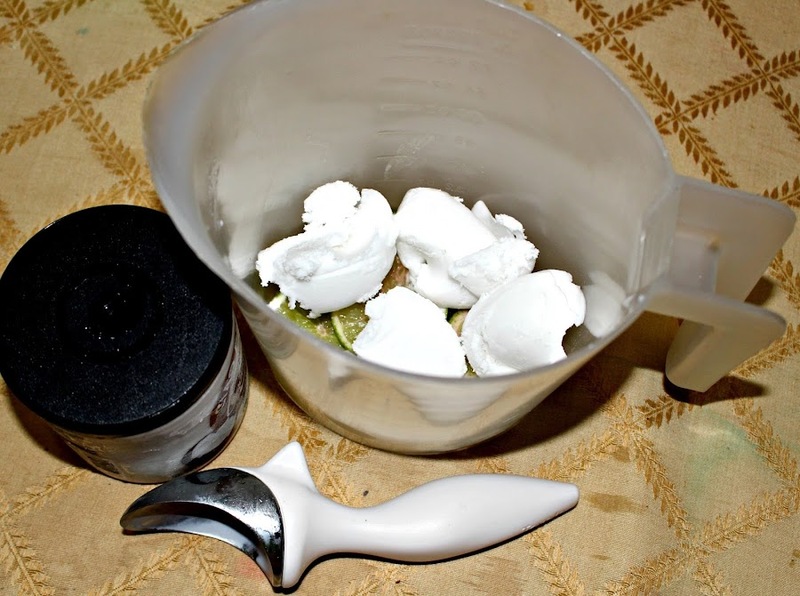 2) Add the Sorbet onto the limes. About 5 scoops for the pitcher or a whole container for the Punch bowl. 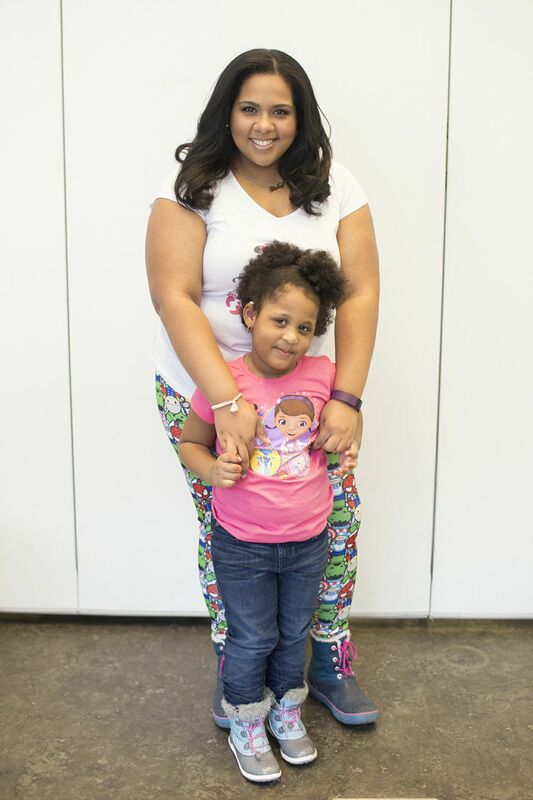 3) This is the fun part that your kids would love doing.... 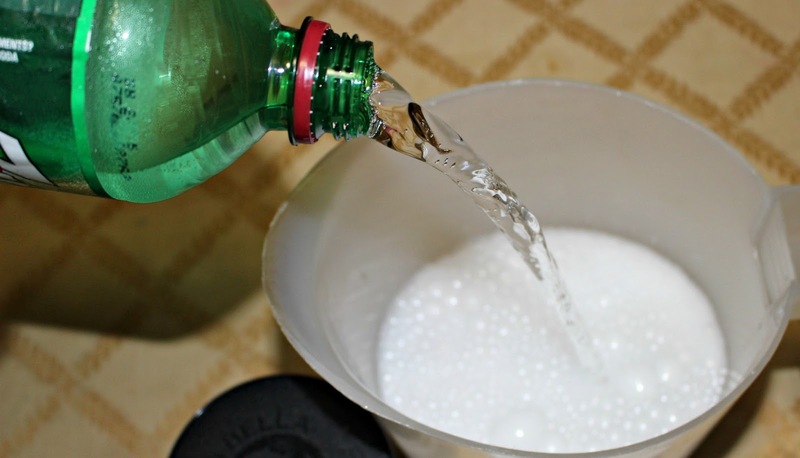 If you want a bunch of Foamy action happening, then just pour in the soda quickly. If you want less foam, then pour slowly. 4) Finally, Serve and sprinkle with Green sugar crystals on top. Now you have the perfect Alien Super Punch for your next Tra-La-Laaariffic Party or just to have a super drink before you catch the film. Were you a fan of Captain Underpants? Oh gee that looks and sounds yummy. I love anything with limes or even lemons in it. I cant wait to make the kids some Alien Super Punch. Looks like this would be a hit for any kid. I have not seen Captain Underpants yet but I'm sure I will soon. Oh I am taking my kids to check out the movie this weekend I have to see if I can make this for them for when we get back I know they will get the biggest giggles. Thanks for sharing! That is such a cute idea! 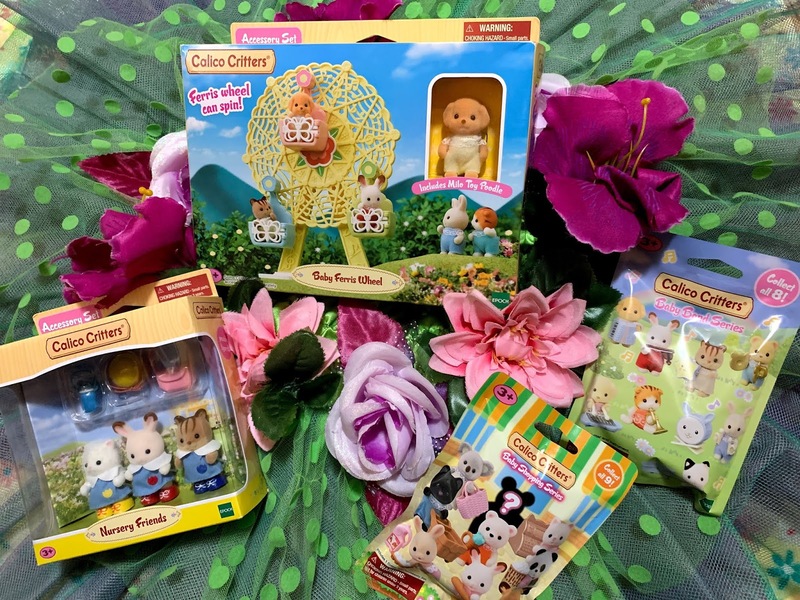 My kids are going to love this. They are so excited for this movie!! We are so excited to go see this movie on the weekend. I will have to make this recipe as a treat before we go. Looks yummy! I need to try this Alien punch, so refreshing, perfect for summer! I remember my oldest son reading Captain Underpants way back in the day. I used to get a lot of pleasure listening to him giggle. This sounds yummy but the name is so funny :D But its good for kids. 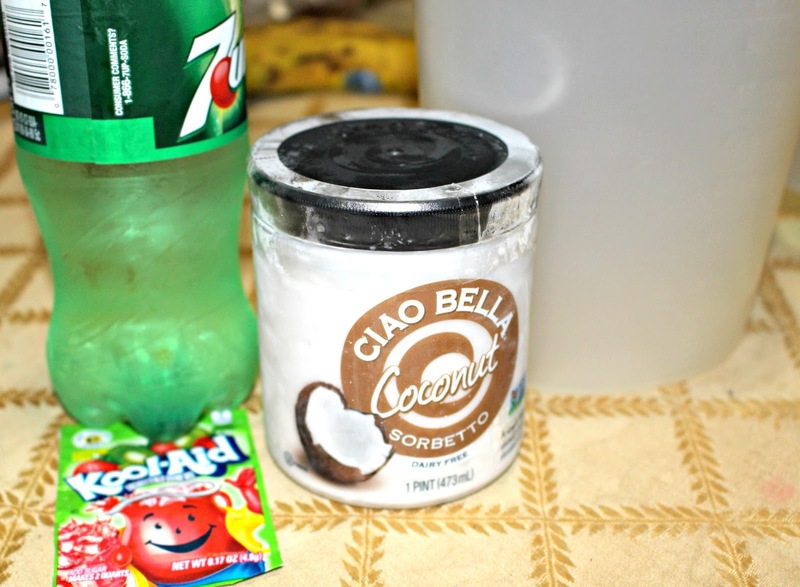 This looks super refreshing and perfect for the kids! I'm sure they're going to be excited about the movie and they're also going to love this drink very much! This looks amazing! And it's easy to make so I won't mind making this for the family. I think it's perfect for parties during the summer! This reminds me that I should watch Captain Underpants with my nephews. That juice drink looks cool. I don't know about Captain Underpants but I am sure my nephews know about it. Hahaha Do i sound old yet? Lol. By the way, I guess I will also share that super punch to my nephews. The Alien Super Power Juice Drink from Captain Underpants sounds interesting and good. I am going to have to watch this movie with my niece's kids and them make this drink for them. It sounds like a fun idea. Thanks for sharing the recipe. Oh how fun! I just made my kids some Evil Zombie Nerd Milkshakes from the book series. We are gonna have to try this one! We just saw this movie and the theaters and loved it! I think my kids would like this juice a lot. Awesome idea, that Alien super punch. This is a drink my whole family would really enjoy. The grandkids would be asking for seconds. This definitely looks like a recipe for a delicious super drink! This looks like it would be so much fun to make. I need to make this soon!